With Google Voice back in action, Android Messages getting a major push as the RCS client of the future, Allo out here doing nothing but acting as a punchline, and Hangouts transforming into a 2-piece enterprise solution going forward, we have some clarity on Google’s messaging direction for the first time in years. LOLZ. No we don’t. We have no idea what Google is doing. What we do know is that Google appears to be making the situation worse these days by ripping SMS support out of Hangouts on May 22, at least according to emails being sent to GSuite (Google for Work) customers. I wish that was a joke, but it’s not! The emails being sent state that by May 22, those who use Hangouts for SMS purposes with a carrier phone number will have to find a new solution. That means if you use SMS with Hangouts from your Verizon, AT&T, Sprint, T-Mobile, etc. phone number, that you won’t be able to do so come May 22. You should see a notification by March 27 that tells you about the upcoming change. Of course, Android Messages is a perfectly good (if not borderline great) SMS solution and will do you right. Unfortunately, that means you’ll now have to use separate applications for Hangouts and SMS, a task you probably want no part of after spending years with a single messaging application. 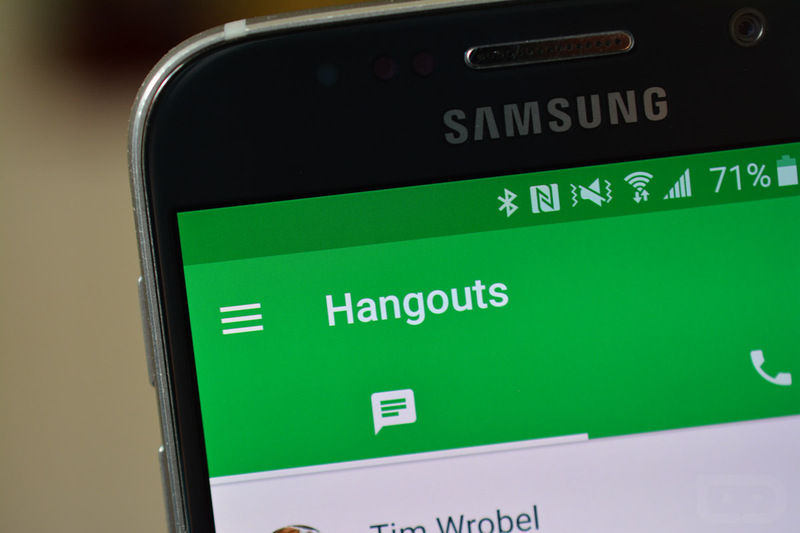 Oh, we’d also imagine that you won’t be able to send SMS through Hangouts on desktop either. Cool, right? Yikes. Pushbullet is an app that offers a solution there, though. There are others as well. As for Google Voice users who integrate with Hangouts, you are still good as long as you use your Google Voice number for SMS purposes. I should point out that this could just be for GSuite customers and that regular Hangouts users will be fine. But yeah, I wouldn’t put my money on that. We’ll likely have more to say in the morning. For now, grab a beer or some tequila and take in the letter below. Last year, we announced several improvements to the most popular features of Google Hangouts, such as the new video meetings experience and better group chat messaging. As part of that ongoing effort, we will be removing carrier SMS text messaging from Hangouts on Android after May 22, 2017. Note: Google Voice numbers will continue to be supported after May 22. This change only applies to SMS text messages sent and received from carrier phone numbers. Users will be prompted to choose another default messaging app already installed on their phone. If none exists, they will be directed to the Google Play store to find a new SMS messaging app. Choosing a new messaging app will not impact existing SMS messages. All messages will be accessible in the new messaging app. Google Voice users who also send carrier SMS messages will need to choose another default messaging app. Their Google Voice messages will be unaffected and will still be available in Google Hangouts. Google Voice users who do not use carrier SMS text messaging will not be affected and no notification will be shown. 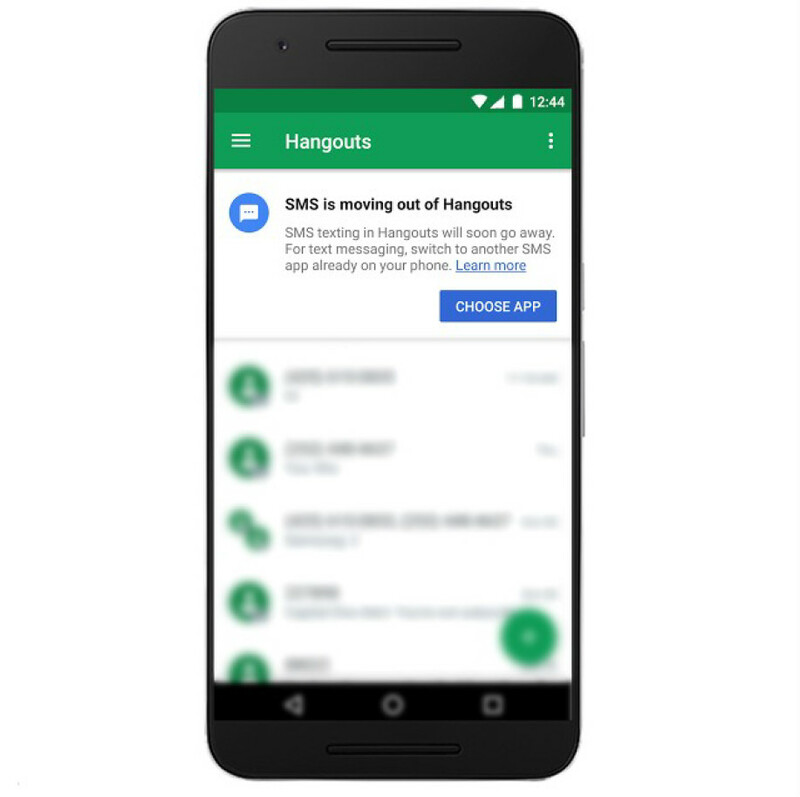 No notification will be shown to users who do not have Hangouts enabled as the default SMS messenger app on their device. What you should do As a result of this change, you may receive questions from affected users. We’ve identified the users (copied below) who will be affected at your domain xxxxxx.com. You can share this Help Center article if users have any questions. If you have additional questions or need assistance, please contact G Suite support.